We’re a functional strength studio that’s redefining fitness. Our goal is to empower you with knowledge, skill, and strength to unlock your greatest potential. We are experts in kettlebell training, barbell training, conditioning and energy systems. With the only StrongFirst instructors in Raleigh, we’re here to help you navigate any gym atmosphere with confidence, and to help you understand that strength is a skill deserving of consistent practice. A graduate of Vassar College, Alex found strength and conditioning after realizing how strength can transform your life. No longer bothered by back and hip pain that weighed him down years ago, Alex takes a holistic approach to getting people strong and moving well. 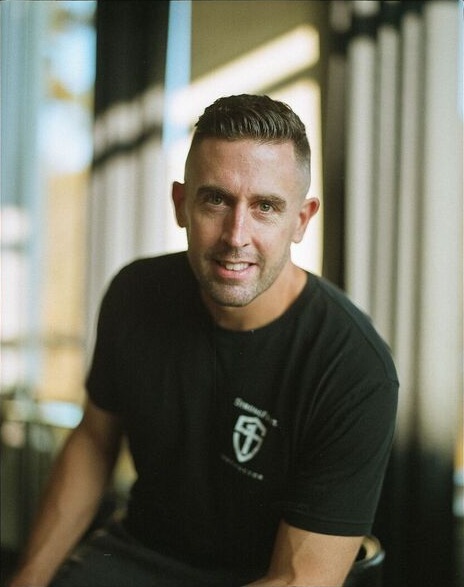 He’s certified through StrongFirst (SFG II), the National Strength and Conditioning Association, Precision Nutrition, Functional Movement Systems, and taken several courses from the Postural Restoration Institute. Prior to moving to Raleigh in 2017, Alex spent 5 years at The Training Room in Somerville, Massachusetts where he was the Director of Continuing Education. Before that, Alex worked at Mike Boyle Strength and Conditioning - voted the #1 gym in America by Men’s Health. Alex also competes regularly in the StrongFirst Tactical Strength Challenge, finishing 9th in the world in 2017 and placing 1st overall in 2018 (Men’s Open). He completed the Beast Tamer Challenge in early 2019 and is also a published author about his favorite subjects: deadlifts and pull-ups. Initially introduced to strength and conditioning while growing up in Ireland, training has played a huge role throughout Jonathan’s life. Allowing him to earn a soccer scholarship to the US, to captaining his college team and earning All-American honors, Jonathan realized the benefits of training early on. He’s now certified through the National Strength and Conditioning Association (NSCA), StrongFirst and Precision Nutrition. After college Jonathan interned and worked at Mike Boyle Strength and Conditioning in Boston, which was voted #1 Gym in America by Men’s Health. He also coached at The Training Room in Somerville, MA and led the implementation and installation of a heart rate based training system for two locations. Personally, Jonathan has continued to see the benefits of consistent training and intelligent programming. He’s overcome nagging back pain and other minor injuries to continue pushing the boundaries of what he previously thought was possible. Jonathan publishes “The Pillars of Health” podcast weekly on Wednesdays and also writes various musings on his website. When he’s not coaching or training Jonathan enjoys deejaying 90’s hip-hop and playing soccer. Eirinn’s passion around food is what drew her to the world of exercise and strength training. After changing her major from design, to exercise and health science, she never looked back. Eirinn finished her B.S. in Exercise and Health Sciences from the University of Massachusetts. She is also a Certified Personal Trainer through the National Academy of Sports Medicine (NASM CPT), StrongFirst (SFG1), Functional Movement Systems (FMS), and a certified Precision Nutrition Coach (Pn1). Eirinn has 7+ years training experience in both athletic and general population gym settings. She is skilled in creating and running group and individualized training programs for entry level to advanced students. Her goal is to help give students the tools they need to move well and build strength and confidence in themselves. Outside of the gym, Eirinn is a dog momma to two sweet rescue boys, an avid user of the library, and a farmers market goer. After a recent move from Boston to Raleigh, you can catch her exploring and settling in to life in the south. Follow her shenanigans on Instagram @eirinnkc or listen to her on The Pillars of Health Podcast in a number of episodes. Our small group training program bridges the gap between 1-on-1 training and the energy, camaraderie, and support of larger group classes. It is a twice weekly, structured, individualized and progressive group strength program. MOVE stands for Movement Optimization with Variable Exercise. This isn't a cookie-cutter style boot camp. It’s a strength and conditioning program specifically tailored for you. We encourage our members to track their progress, train hard and train smart. Participants will develop confidence, avoid plateaus, and develop safe technique. And they’ll become bad asses too. The key to success is consistency and accountability, and our most personal approach delivers just that - but with exceptional programming and experience as well. You’ll learn how to develop total body strength, improve every aspect of your health, and we’ll help you develop a training plan that fits your life. This all-levels strength class focuses on the essential strength exercises: 1) the deadlift, 2) the squat, 3) core exercises, 4) pushing and pulling, and 5) single leg strength. Programming changes monthly in order to promote consistency, skill acquisition and progress. Want to sweat and burn fat? Want to get better with kettlebells? Want to hear Alex sing-a-long to AC/DC? Maybe not. But you’ll still have a great time. Schedule a free 60-minute strategy session. We’ll perform a complete review of your health and injury history, give you an overview of fundamental movements, breathing techniques, and a first workout.